Before I begin this review, I have a small confession to make – I have two pieces included in this anthology of poetry and prose from Paragram, and there are few things more exciting to receive through the post than a neatly packaged volume that features your own published words. That said, I actually found myself getting so absorbed in this collection that when I did encounter my own pieces it was something of a surprise! From the melancholy to the wry, the poems and prose pieces draw you in with unexpected strength given their brevity. Messages of love, murmurs of regret and realisation, promises and unspoken hopes thread the whole together. Favourites for me included Jeremy Tiang’s skilful and sublime The Word for Water. On Examining by Rose Drew is a contemplative look at our own mortality, while Surviving by Jill Taylor offers a quiet determination with its beach of “flotsam petals” and “briny tears. The disconcerting last line of Lost Connection by Annie Roberts drew me to re-read the poem with fresh eyes, and Notation by Angela Wye sang out with vast, ambitious yearning balanced by a humorous self-depreciation that I instantly warmed to. The power in many of the pieces lay in their humanity, sharing insights and emotional truths I think most of us could identify with, from Bett Hobbs’ understatedly adroit depiction of The Party to Peter Cooper’s one-page tale encompassing all the confusions of growing up: Leaving Gift. Other works that merit a mention are Helen MacKinven’s vivid Button Box, the intriguing Finger Grip by Jasmine Palmer, and the deliciously glib yet philosophical Ain’t Love Grand by Gill Shutt. My one critiscism of the anthology is that I would have preferred the poetry and prose to be mixed up rather than presented separately. Blending the two would have provided a more varied pace when reading in one sitting, as I suspect you may find yourself doing. 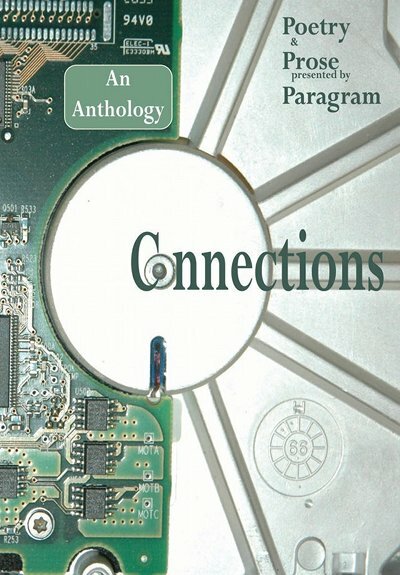 Connections: An Anthology is available from Paragram. Readings from the anthology will be performed at the Poetry Cafe on Betterton Street, Covent Garden from 7.30pm on Friday 08 March 2013. This entry was posted in Reviews and tagged anthologies, Book reviews, poetry, short stories by Judy. Bookmark the permalink. I am so glad you thought my poem was worth a mention. Unfortunately I have still not received my copy of the anthology and so have been unable to check out everyone’s work. After reading this blog though I am looking forward to it even more. Well done for getting your own work published!